Now this is REAL journalism. A true gold standard. Something Gene Steinberg could never accomplish or achieve. Take notes Schemey, you’ve just been schooled! Jack has done more for the ufo community than Steinberg ever has. Gene would rather cozy up and get in bed with MUFON than dig under the covers. He’s still living in the 50s with Supergirl and Small Reprieve. 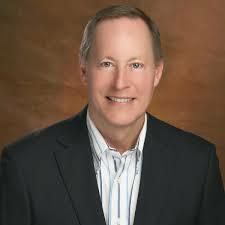 The sight I just bought tickets for the 2019 Philadelphia conference on Lists John Ventre as State Director. I personally like Ventre and have no problem with him. His personal opinions that he posts on his personal Facebook or Twitter are not MUFON's business. I thought we still lived in a country where individuals are afforded freedom of speech. For the sake of accuracy, I edited the article to reflect both PA MUFON web pages are located on the same site with conflicting information. Great work, Jack. MUFON's cosplay performers have been at it from the beginning. Their current leadership, including the despicable people you contacted for this story are inept, ineffective, and ridiculous. 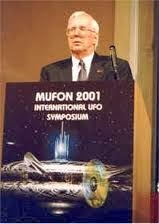 MUFON (like all UFO investigation) has produced exactly nothing in 70 years that indicates anything other than prosaic causes for the UFO mythology. All UFO believers (and their tawdry low rent sci-fi beliefs) have done for the world is help make conspiracy thinking part of everyday life such that now we live in a world where assertions are of equal importance as evidence for many. UFO belief makes the world a worse place to live. And don't make the mistake of believing that those who leave MUFON to form their own organizations are any better. The recently formed "Scientific" Coalition for UFOlogy is about to open their own echo chamber convention (no skeptics, no dissent, no questions). A small group of us (and other researchers) looked at their flagship case (the Aquadilla thermal video) and found plenty of reason to suspect that the video was completely prosaic. But the SCU hides from discussion of that case, their heads deep in the sand, too frightened to defend their positions. Such a silly sham, UFOs. The people usually associated with UFO "research" are indeed more likely than not to be sham artists, but for those of us personally and directly impacted by experiences with UNIDENTIFIED FLYING OBJECTS, the topic is legitimate. I hear you and I can see why you feel that way. But, I disagree with your assertion overall. A good part of the problem is how the ETH has completely displaced all other talk on the subject, and the idea that any unidentified light at night is now somehow an "alien vessel." Pure Nonsense. But, there is still some merit to be digested...particularly for the fields of psychology and sociology. The intelligence connection to the UFO phenomena is also very real and needs to be explored more. The Alphabet agencies don't spend their time and money on stories of Bigfoot and the Loch Ness Monster. Yet, they seem to have spent a good amount of time trying to convince a segment of the population of the "little green men". Why? Although it is important to know the inside truth, the outside truth has been more than enough for me. 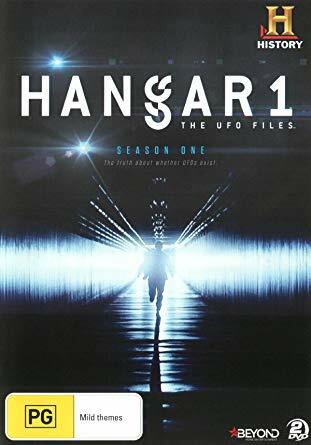 From our local MUFON group, with regular appearances by JoAnn ("Captain" Mark) Richards and warnings from Zeta Elder EBE-3, to the speakers associated at MUFON nationals symposiums over the past several years, the "Scientific Study of UFOs for the Benefit of Humanity" has been replaced with Hanger 1-type of sensationalism and the fringe. When was the last time that MUFON discussed the scientific understanding of hypnotic regression or the application of scientific methods and peer review to the investigation of the phenomenon. 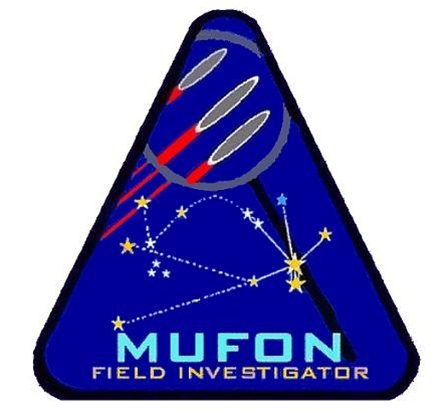 When has MUFON invited skeptical review? Maybe I missed appearances by people like Dr. Susan Clancy ("Abducted") or Mr. Brewer. Perhaps I missed the inside discussions about how to apply scientific principles. But the outside record makes the current state of MUFON rather clear. "When was the last time that MUFON discussed the scientific understanding of hypnotic regression or the application of scientific methods and peer review to the investigation of the phenomenon. 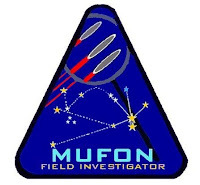 When has MUFON invited skeptical review?" The impression I get is the organization seems to be very top-down in its management style. The higher-ups make the calls and these filter through the ranks. I've read several accounts now from mid-and-low level investigators who have become sick at the organization for the sensationalism it seems to encourage. Frankly, it would be disheartening to be doing sincere work for something they believe in and then watch it funnel into white-wash.
Mufon Media IS a real term as it says that on one of Phil's Mufon Id's. The comment about it not existing was simply a lie and could easily been figured out that he was talking about Mufon in the media. Other tall tales were told to make sure she was placed on each show while denigrating past Mufon productions. 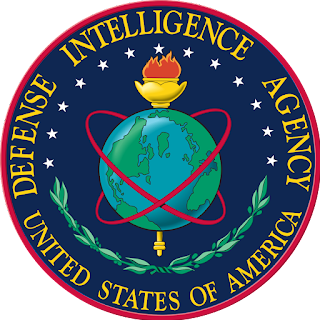 Those who have a go at MUFON and seek to wreck its reputation are the allies of those in government who wish for the UFO cover up to continue. For those of us who are interested in MUFON, even if we are not allies of a governmental coverup, Phil,Leech's reply to Chase is covered at the UFO Watchdog. Jack, thanks for yet another outstanding investigative piece. I'm 58 now. When I was 21, myself and 2 friends had an incredible, close sighting. 4 years ago I felt it was finally time to talk about it. So I went to MUFON's website & filled out a report. A FI called me about 2 weeks later. She had a rather diffident attitude as she asked me questions off of her script. I didn't curse or claim I saw a nun in space. I had all the facts for her, including the 2 other witnesses names, phone numbers, addresses & occupations. As she rushed through question after question, I got the distinct impression that she really didn't care about my experience. I eventually called my 2 friends & found out that she never contacted them. Nor did she call me back. This puzzled me until I recalled her asking if what I had seen were orbs. I said definitely not. This seemed to disappoint her as she inexplicably seemed hell bent for leather to categorize what I saw as an orb. The sighting occurred in N.E. Ohio on the banks of a reservoir. I waited 33 years to report this out of fear of damaging my career. You can imagine my disappointment. Thanks for the encouragement and comments, Tom. They're appreciated. In my experience, the dynamics you described are extremely (and unfortunately) quite common. So-called investigators frequently seek to confirm their pre-existing beliefs, often at the expense of objectivity. What's more, it encourages witnesses to accept the narrative in order to have more support, more opportunities to discuss the situation with others, and so on. In contrast, it isolates those who do not embrace the investigator's preferred narrative. There are many detrimental consequences.